Preamble: I have been sitting at my computer for roughly 15 minutes now trying to figure out how to start this review. I feel like this used to be easier, or maybe I just used to be better at this… Also, I apologize in advance for the lack of photos in this review. The photos I took do not do the course justice, so I decided not to use them. Let’s just rip the bandage off and start writing. For the last several months, I have been living in the Detroit, MI area and attempting to keep my hands warm enough to hit a few balls. See LG on golf in the tundra. One great takeaway I’ve had from my time here is to learn just how excellent Michigan golf can be. Don’t quote me on this, but I’m pretty sure Michigan has 3.2 golf courses for every golfer that lives in this state. Northern Michigan also has some of the most breathtaking courses I’ve ever had a chance to play. Later, I’ll post a review of my 9 hole round at Arcadia Bluffs. The pictures cannot begin to show the elevation change and character of that amazing property. More to come there. Another added benefit of having so many amazing courses – tons of selection, quicker rounds than I’m used to in California, and excellent courses are highly affordable! Now for the good stuff. Today, I review Blackheath Golf Club located in Rochester, MI. So, I was sitting on the couch last night trying to decide where to play. Not having a set of golf buddies in Michigan, any sense of which courses are worth playing, and no last minute access to the Red Wings game, I decide to tool around on golfnow.com and golfadvisor.com to book a tee time for Saturday morning. Blackheath catches my eye for a few reasons: 1) bent grass greens 2) links style course 3) $37. That might be enough to sell me alone, but the reviews on golfadvisor confirm that the course is generally kept in very good shape. Anyone that knows JK and me knows that this is a no brainer. I book the 10:18 am spot through the course’s website because it’s cheaper than golfnow.com. (Sorry to out you, golfnow, but hey, you weren’t the cheapest). Upon arrival, I know I’m coming to a place that is purely about golf. The only visible structure on the course is the pro shop/maintenance shed. To the right is the practice facility where you can take your mish-mash bucket of balls and warm up, or just head straight to the first tee. Don’t expect a large menu in the grill, mainly because there isn’t a grill. The staff will happily make change for you for the vending machine, however. No bells, no frills, just golf. I love it. While the course had not grown in entirely from the winter, I can confirm that the bent grass greens were in immaculate shape. These could be the best greens I’ve had a chance to play in Michigan, and they definitely rival the condition of many I’ve played in California. My deepest thanks to the greenkeeping staff! As far as the layout is concerned, my immediate impression was that this Par 71 is a true links style course. Don’t let the yardage fool you. 6700-6800 yards here will play much longer than the scorecard yardage when the wind is blowing its normal pace. That 73/137 is no joke. The gentleman in the pro shop told me it is more of a “heathland” style course (see definition found via the Google), which was a fascinating new term for me to learn. In either case, this is truly one of the courses any golf trip to the area should include, and residents of the area should play regularly. For a course located in an area that is generally flat, there was a surprising amount of elevation change built into the course. While most of this must have been manufactured by the architects, it did not have the “cookie cutter” quality that is generally off-putting about those types of courses. Moreover, the architect took care to fabricate run up and collection areas with these elevation changes that play the way these features are meant to be played – fast and firm, but penal if shots are not executed well. 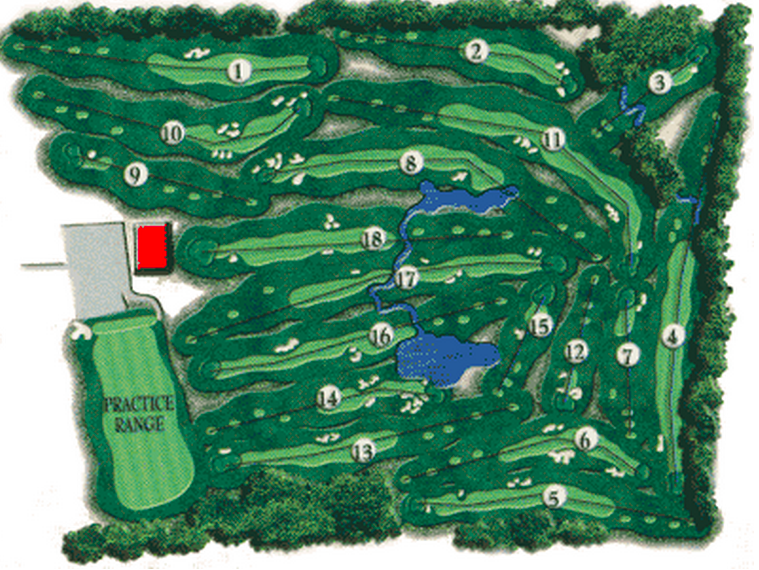 As I tend to do in my reviews, I focus on the par 3s and par 5 holes because I tend to enjoy those the most. Blackheath has five par 3s and four par 5s, and they contain my favorite and least favorite holes on the course. My favorite hole was the par 3 12th. I wish the picture had turned out better, but today, it played 214 yards with a steady left to right wind. The pin was cut in the front and framed between two massive heather-faced bunkers. I drew 4 iron with the holes of holding up a draw into the breeze and softly landing 3 feet left of the flag. 4 additional shots later, I’m walking off the green with a spoiled round and a giant smile on my face. Golf does that some times. If there’s a criticism of this course, it must be the design of the par 5 11th. The 600 yard hole bends sharply around the outside of the course’s par 5 8th. Without any real penalty for missing the drive, the prudent way to play this hole is up the 8th fairway to take a large bite out of the yardage. While I believe that courses should always allow for some creativity off the tee, the play should always be to the fairway that the hole is designed around. All in all, for a true links (heathland) style experience, I would highly recommend Blackheath golf club. Towards the summer when the course firms up and the run up areas play as they are designed to play, this will be a true test of a complete set of golf skills. The course is kept in immaculate shape, and the lack of trees on the course will keep the greens and fairways firm, fast, and playable throughout the season. If played from the appropriate tees, this would be an excellent course for players who may not carry the ball very far or who may be newer to the game. This style course lends itself to “ground play” and can help build confidence of players who may have trouble getting the ball into the air. Moreover, only 3 or 4 holes have water or hazards that may come into play, so if you’re trying to figure out where your driver is going, this could be a good test round. That’s all for now, folks. If I get a chance to play again, I’ll update this post with pictures. When you think of Torrey Pines Golf Course – South Course, what is the first image that comes to mind? The 2008 US Open. Tiger Woods vs. Rocco Mediate. The 18-hole playoff wasn’t enough. Golf played at one of the highest levels in any tournament was on display. In the end, Tiger won his 14th (and, still, his most recent) major. Nearly five years later, I found myself in San Diego for the first time in my life. I couldn’t pass it up. After playing two other local courses in the days prior, I was ready for Torrey. San Diego area courses in general seem to be relatively short as compared to most Atlanta area courses. 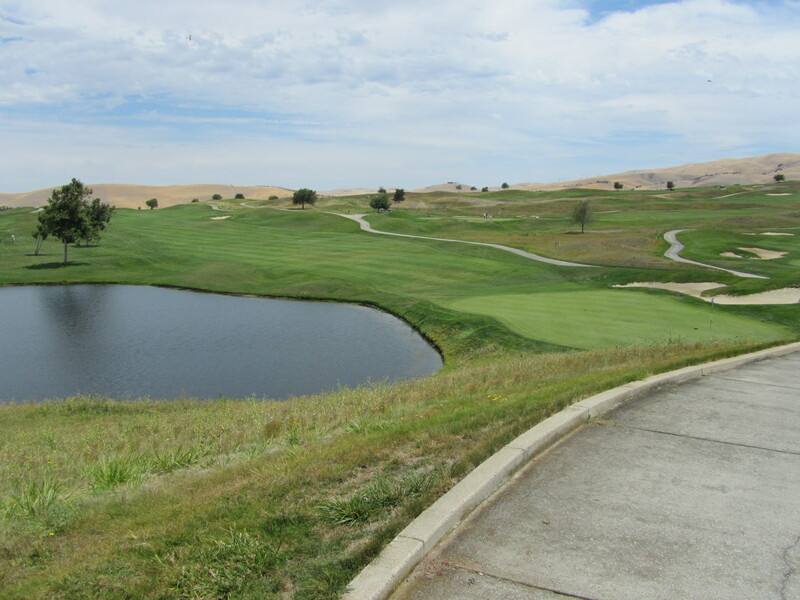 Torrey South, at just over 7,050 yards from the non-tournament tips, is one of the longest tracks in the area. Even at that, the course did not feel particularly long. Several holes did feel long, but I did not feel like there were many long approaches in general. 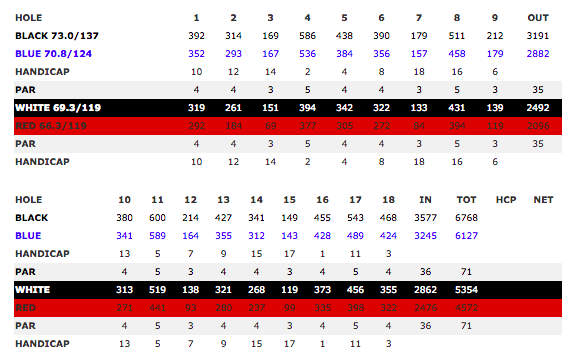 Most par 3 and par 4 holes had 6-iron or less into the green, and most par 5s were at least nominally reachable in two. 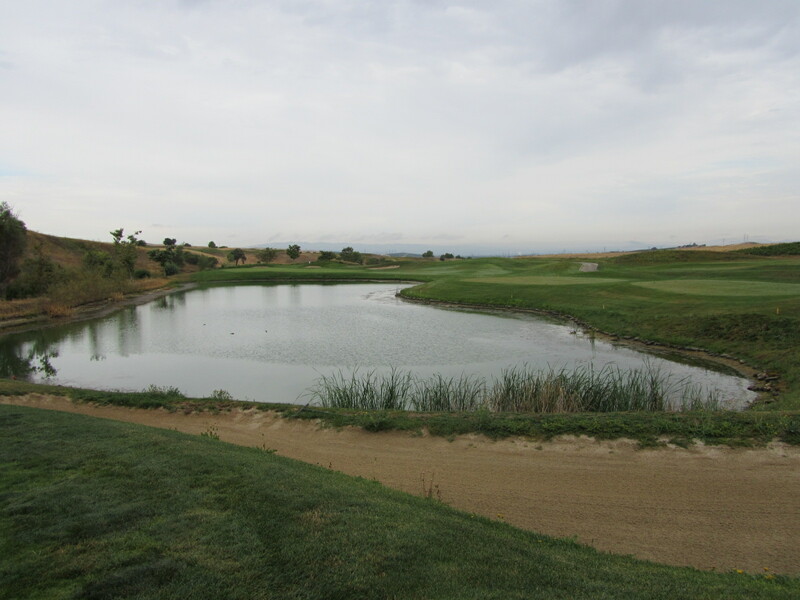 For example, for the 18th hole, I had an 8-iron into the green to reach in two. Not exactly stupendously long. 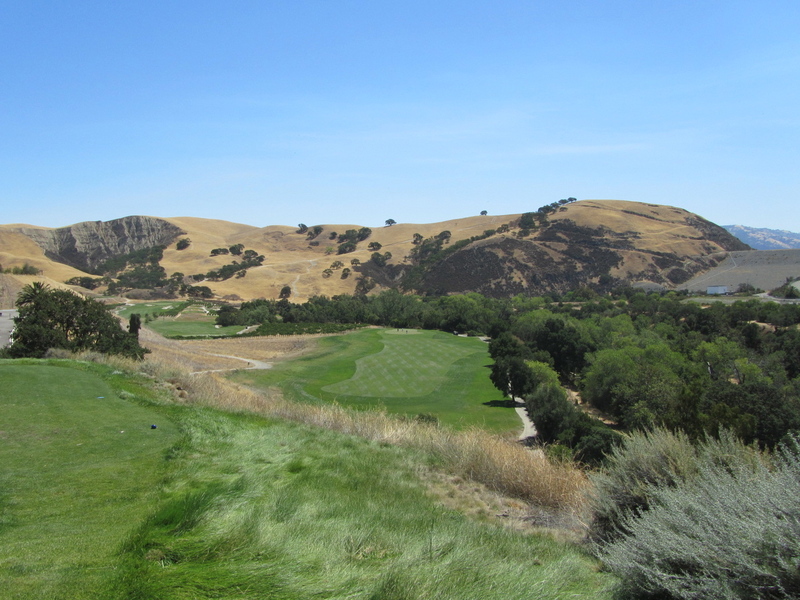 When I played Torrey South (at the end of February), the course had recently hosted the Farmer’s Open, a PGA Tour event won by–guess who–Tiger Woods. As such, the conditions were about as good as I would expect them to be. Greens were probably rolling at 11 on the Stimpmeter, and the fairways were lush and green–although I didn’t hit one all day (0/14 fairways in regulation). 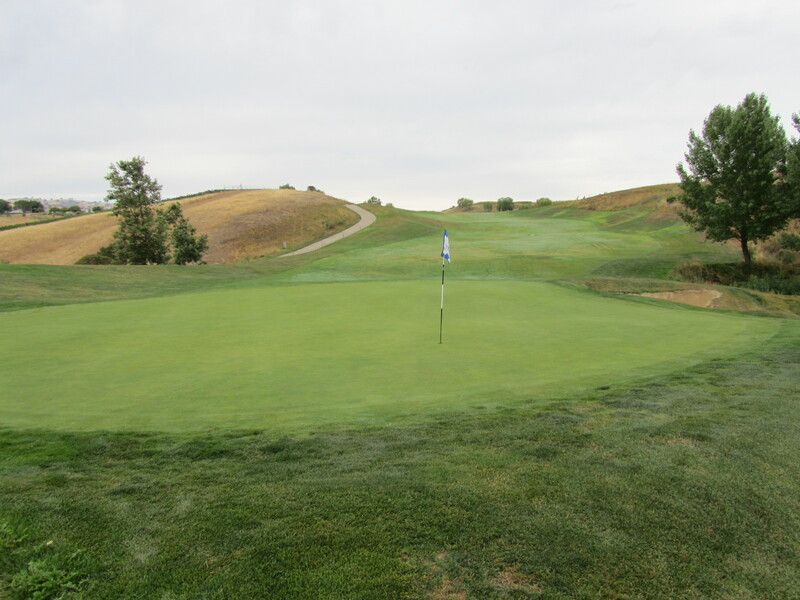 Although the pros often complain about the Poa green surface, I did not notice any substantial disturbance (although I was playing very early in the morning, so the Poa may not have budded yet). At least as compared to almost every bermuda green I’ve played, Torrey was exceptional. Playing Torrey South confirmed one of my general suspicions about PGA Tour courses–namely, you can hit the ball basically anywhere and survive. With 0/14 fairways, I still managed a 77 with 9 GIR. The dearth of trees on the course makes it very playable for a long hitter. 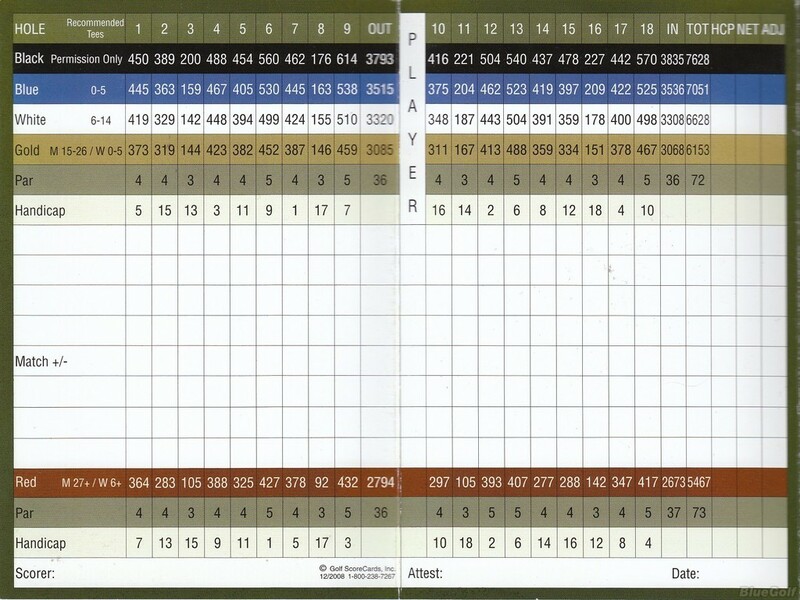 Although I did not play the US Open tees (I decided to go easy the first trip), I found the course very playable and had a number of close birdie putts even with my failings off the tee. Perhaps it’s just that I’m used to playing bermuda rough in Georgia, so the fescue rough at Torrey was just no big deal. Generally, I didn’t hit any fairways because they are difficult to hit. They are not particularly wide and are typically sloped to kick the ball off the fairway if it does not have the proper flight. Greens are fairly large but are very undulating, and being on the wrong side of the hole can lead to some poor putting/chipping statistics. It has always amazed me how undulating greens are on the Tour stop courses that I’ve played (East Lake, Pebble Beach, Torrey, even Glen Abbey). However, the course is right in front of you, and if you miscue a shot, you can’t blame the course for it. What surprised me to some degree was the forgetability of many of the holes. Although the course is absolutely stunningly beautiful, it isn’t as if each hole has a particular character that must be dealt with. Sure, there are some–3 and 18 most notably–but many of the par 4s are reruns, slight doglegs, 4XX yards, fairway wood – short iron type holes. Of those holes, I don’t remember each one. Having played Tour-caliber courses on several occasions, I can say that most if not all of the holes of each Tour stop that I’ve played have been remarkable golf holes. A benefit of playing Torrey is that it is one of the few places in San Diego that polices the pace of play. Want to play a 5+ hour round on a Saturday morning? Play somewhere else (anywhere else in San Diego, really). Even though we were on pace, marshals complained to us about the group ahead of us and even hassled us at one point. Altogether, Torrey South was a great golf experience. Having seen the Farmer’s Open and walked the North course a few weeks earlier, I can confidently say that the North course is no slouch, and may be every bit as good as the South, although lacking in history. However, $240 to WALK the South Course on a Saturday morning at 6:30 AM is hard to swallow, especially knowing the locals are paying $75. It might be worth it to hit the North course to get the same great experience at a lower price. Halfway house food was expensive too. That doesn’t get cheaper for locals. Overall, I had a great time and am glad I got to play Torrey South, as courses with that much history are few and far between. However, I am interested to play the North course and see how it stacks up–it may turn out to be a cheaper alternative simply for its name. The course was well maintained, but probably not to the level of a $240 course. For two Franklins and two Jacksons, I expect a course to be pretty near perfect. All in all, I’m very glad I went. First, I would like to extend a sincere apology to our readers for not having posted in such a long time. I have unfortunately been travelling too much to post regularly, but have also accumulated a wealth of other material for reviews that should keep the posts coming through the winter. Now, on to the review! 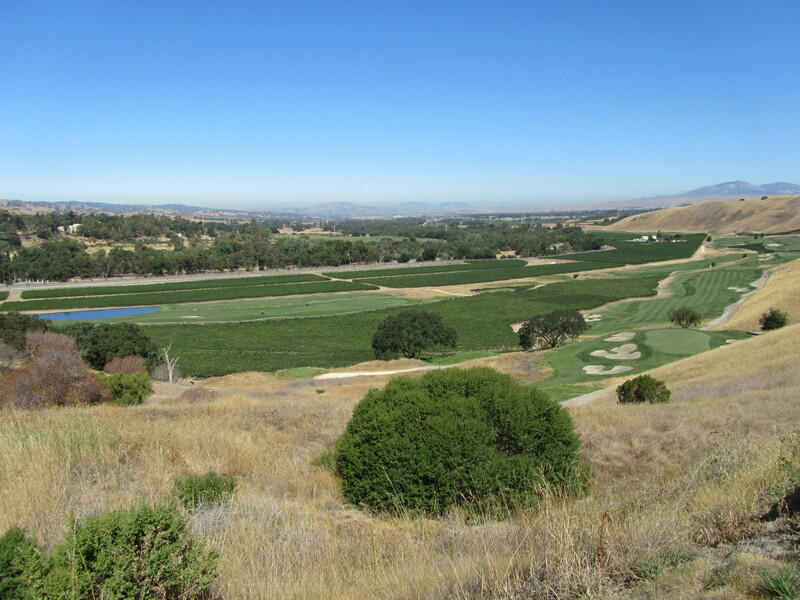 Today, I review the Course at Wente Vineyards. Wente has been a long time coming for me. 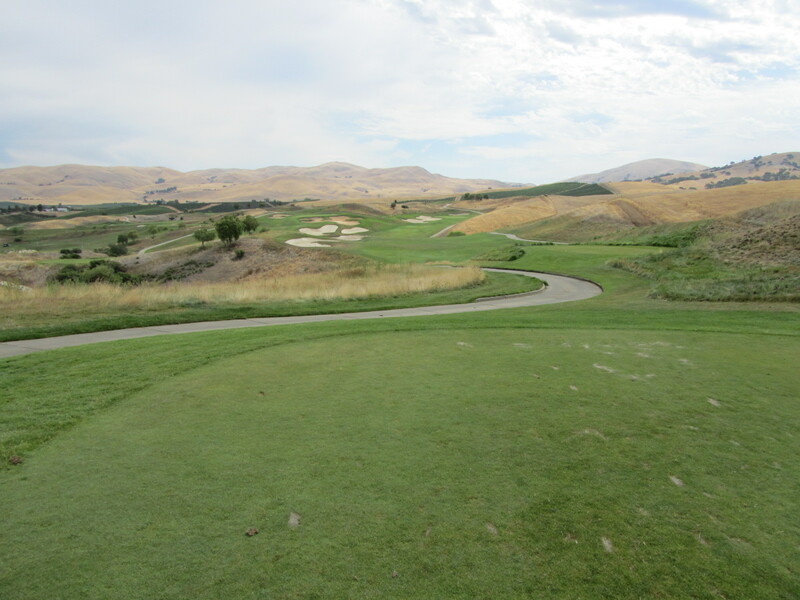 I heard about this Greg Norman design course when I moved down to the Bay-Area from the Sacramento area, but I never managed to make it out there because the rack rate was too high and Poppy Ridge was right around the corner. 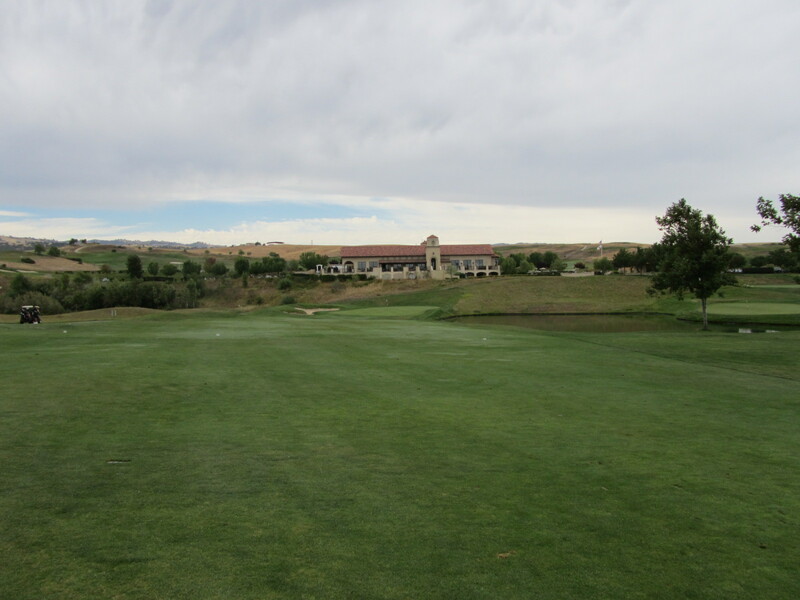 But, in the spirit of reviewing new courses for our readers, I decided to scour Golfnow for the best possible rate and was able to get a discount of $25 from the rack rate of $115 and make it worth my while to check out Wente. 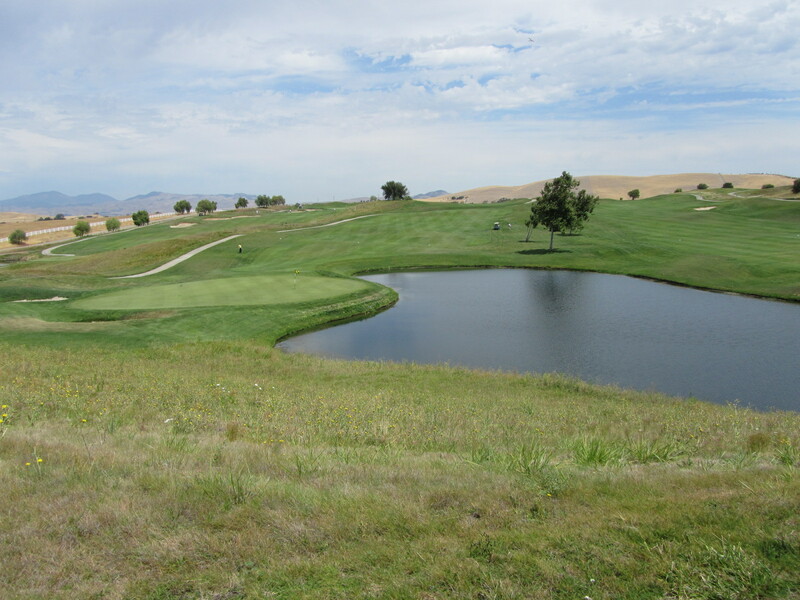 By way of comparison: Poppy Ridge (just around the corner – and reviewed here by the PowerFade) is $87 for 27 holes on the weekend at NCGA rates. I have also seen exceptionally good offers at Costco from time to time that bundle Wente with another course that might actually put the price below $90. 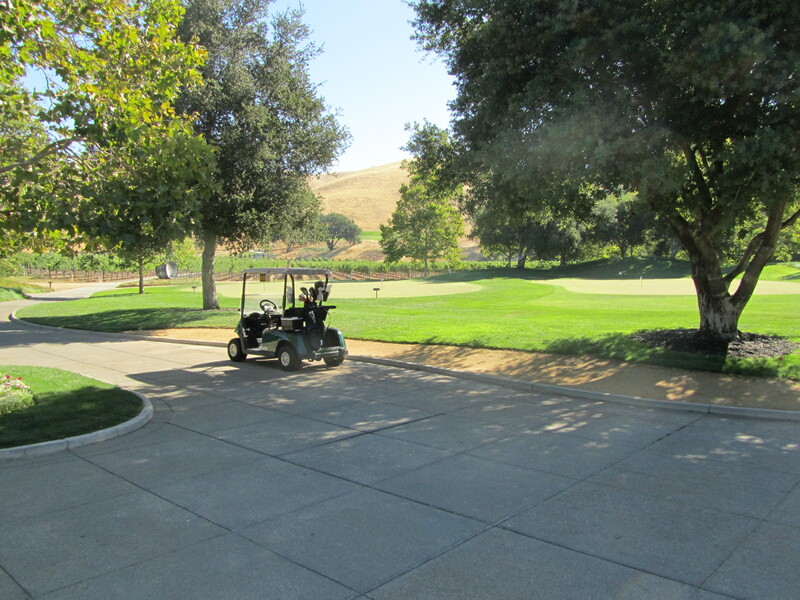 Wente does, however, make up for the difference in price with service, facilities, and wonderful conditions. The picture above is a view of the putting and chipping greens that sit next to the largely apportioned clubhouse. These greens were probably the fastest I’ve played in Northern California. I was playing Titleist Pro-v1s because I heard I’d need the extra spin on these greens, and boy, they were not kidding. By way of example, my first pitch shot on the green pictured on the right was from near the tree to the middle pin. The ball hit about 4 feet short of the hole, checked up, and rolled out another 10 feet. With that feel in mind, we head to the driving range. One of the awkward things about Wente is how far away the driving range is from the rest of the course. The cart ride from the clubhouse to the range took about 7 minutes. The nice thing though, is that the drive is beautiful. The picture above is part of the route between the clubhouse and driving range. The other part meanders through the back nine and heads to the top of a high cliff where the driving range is situated. The range is noticeably more exposed than the rest of the course and probably provides a good sense of the worst of the conditions you will face throughout the day. The view below is from the driving range back down to the course. One of the most unique features of this course is “Little Lombard.” This meandering part of the cart path goes up one of the steepest hills I have ever seen on a golf course. The switchbacks that make up this part of the path give the feature its name. The course was phenomenal. The tee shots provided a very clear view of how to play the hole, and a long, accurate drive was a must to have a chance at getting to the green in regulation. 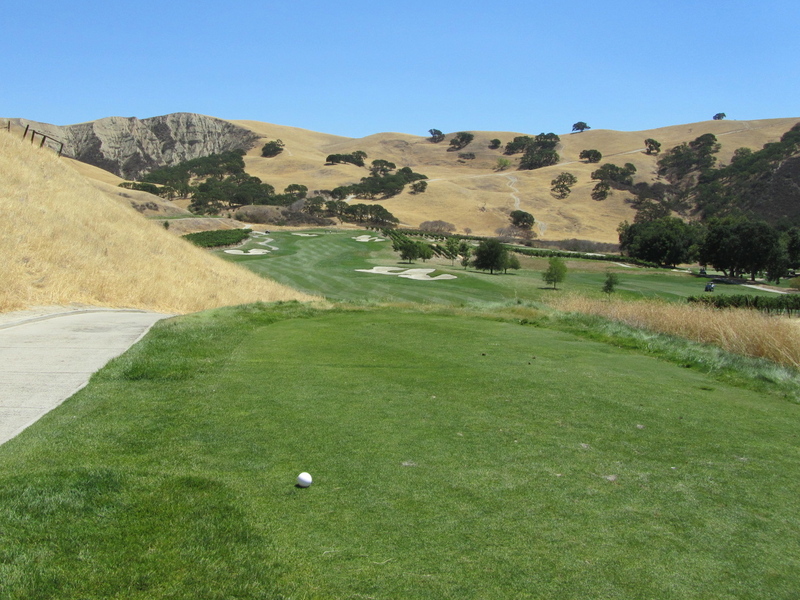 Hitting the rough at Wente meant you were probably hacking back into the fairway. To me, the views on the back nine were not as nice as those on the front, but the holes were more interesting. In particular, I recall the risk-reward 10th. This drivable par 4 (plays much shorter than the yardage) could have you tempting disaster, especially if you are in the middle of a good round. I decided to lay up with a 7 iron off the tee instead of hitting driver or 3 wood, but would consider going for it next time because there was more room behind the green than I thought. 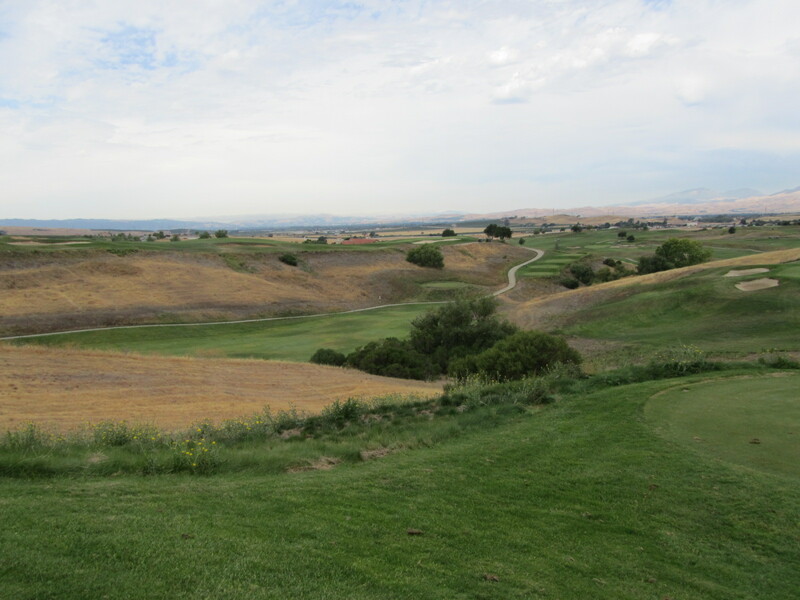 Overall, I would call Wente a great course, but not somewhere I could play every weekend. My main reason for this comment is that the course is not really walkable (see Little Lombard). This is the kind of course where I would play a special round, or bring a client from out of town. From a purely financial perspective, Wente is not your best bet. 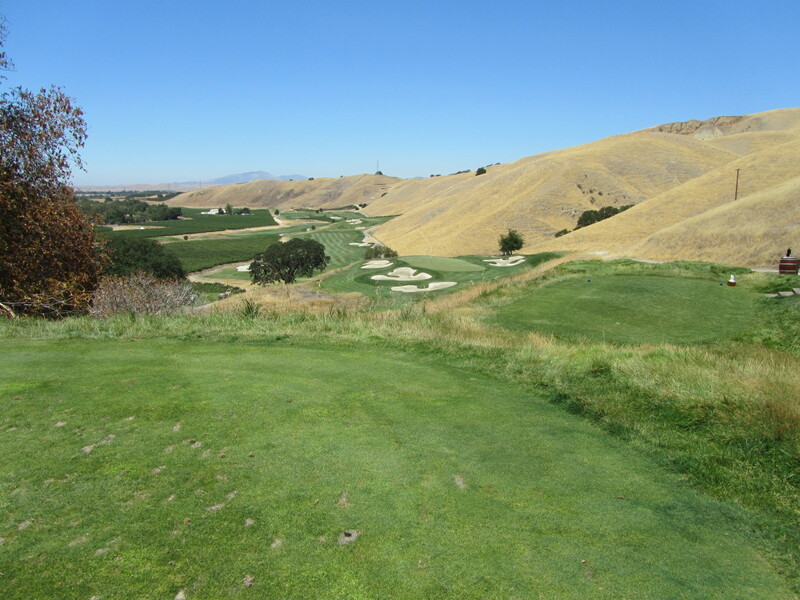 Poppy Ridge, on any given weekend would provide you with a wonderful 27 hole experience for less than a good rate at Wente. The price does have some advantages. The course play relatively quickly because of lower traffic. I played my round in about 4 hours with a cart. Many notable names play this course often. Jerry Rice is known to frequent Wente regularly, and Annika Sorenstam hosts her charity tournament at this venue each year. In the end, I would not turn down an invitation to play at Wente, but would not think of it immediately for my weekend 7am tee time. 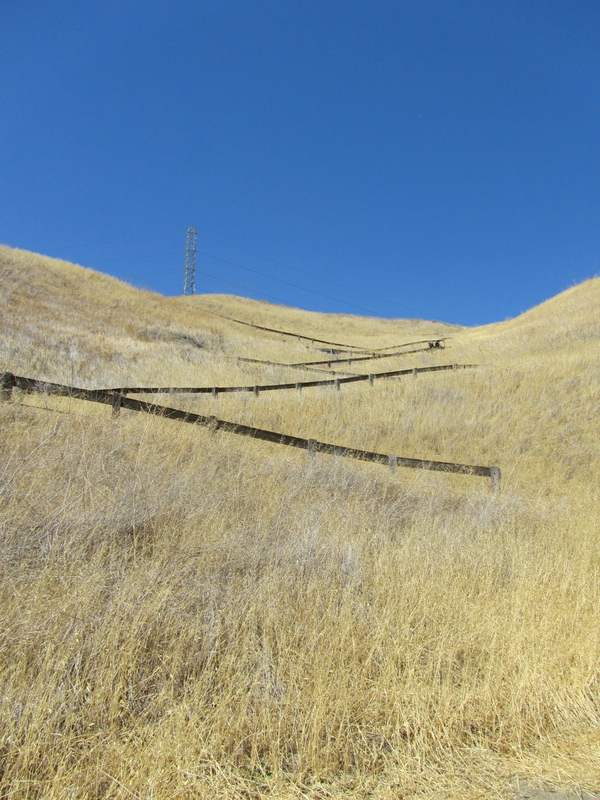 Poppy Ridge has fast become one of my favorite facilities in the East Bay. Given the general lack of good public golf in the peninsula, I have had to venture out to find good courses. I need look no further than Poppy Ridge. The facility has 3 championship nines, full driving range and short game facilities, and award winning clubhouse. Moreover, in this area, the deal is hard to beat. NCGA members (if you’re not and you live in NorCal, what are you doing!?) get significant discounts on merchandise and tee times, as well as a free club fitting every year. The NCGA price to play 18 is $72 for Early and Prime times on the weekend, with an additional 9 for $20, or $32 for 18. In my estimation, for the quality of golf, speed of play, and ease of booking, there is no better deal than 27 or 36 at Poppy. 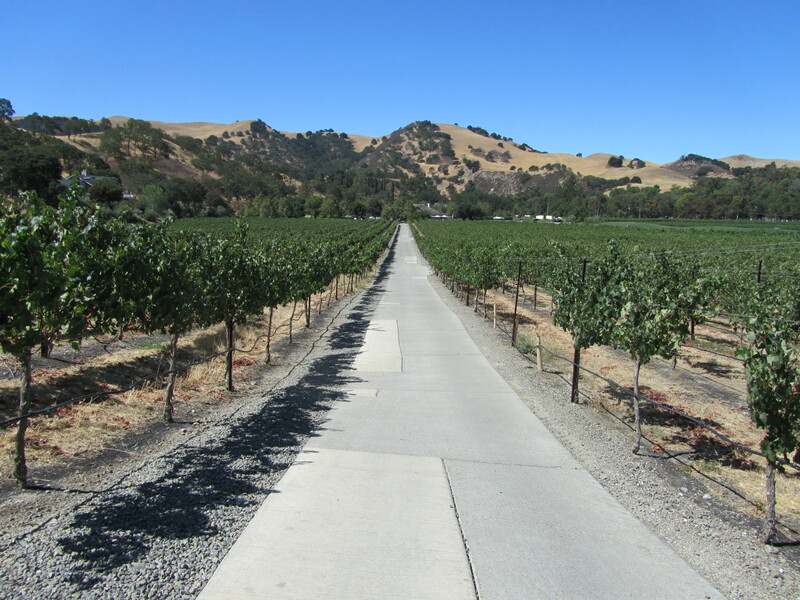 The facility has 3 distinct nines – Chardonnay, Zinfandel, and Merlot. (Scorecard). All were designed by Rees Jones. From the tips, the nines are about the same length, with Merlot claiming the award for “longest nine” at 3593 yards. As their names suggest, each nine has a slightly different character. Chardonnay is the most “interesting” of the nines. The first green is one of those that appears to have an elephant buried under it. The second is a risk-reward par-4 that appears driveable, but in my experience really is not. Zinfandel shows slightly more teeth than Chardonnay with tighter driving areas and smaller greens. Merlot is the most exposed and strategic of the nines. The wind that is familiar to those who play in the East Bay really becomes a factor on this nine. Only the 7th hole provides a respite from the wind as it down in a valley between the 6th and 8th. 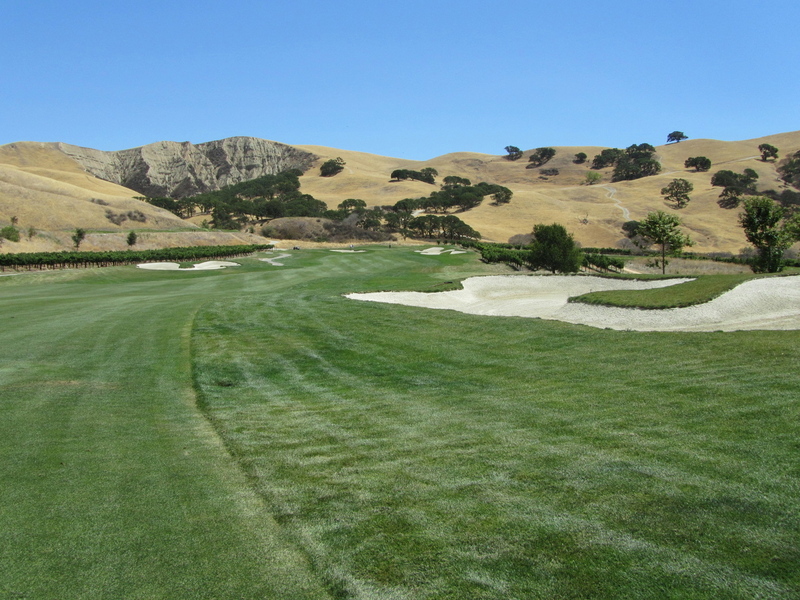 A quick story – The par-5 8th hole on the Zinfandel course is one of those holes that has taught me a good lesson about being aggressive. Normally, I play this hole as a 3 shot hole even though I am generally within “3 wood range.” The last time I was out there, I had a nice tail wind and felt confident with my 3 wood given that I had just hit a solid 3 wood on the last par 5. I took a good swipe and ended up hooking the shot more than I had intended. The ball drew slowly and inexorably toward the hazard stakes over the creek. After muttering my usual string of swear words, I walked over to the hazard and found the ball sitting up in the deep rough. From here, I played my third to a bunker to avoid the possibility of hitting the creek and was able to get up and down for a par with a decent bunker shot. The point, i suppose, is that I gave myself a shot at a great score on the hole and was able to save a solid par after getting into a particularly bad position on the approach. My takeaway – be aggressive. All in all – Poppy is a fantastic track. Not having to wait on a tee box, 27 championship holes, great facilities, a decent burger at the turn, and pretty solid golf conditions year round…What else could you possibly ask for? Join the NCGA and go play!